In 1980 seven-year-old Sabine Kuegler and her family went to live in a remote jungle area of West Papua among the recently discovered Fayu - a tribe untouched by modern civilisation. Her childhood was spent hunting, shooting poisonous spiders with arrows and chewing on pieces of bat-wing in place of gum. 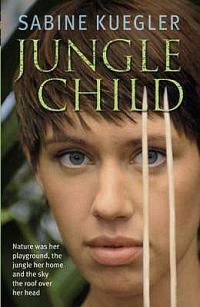 She also learns how brutal nature can be - and sees the effect of war and hatred on tribal peoples. After the death of her Fayu-brother, Ohri, Sabine decides to leave the jungle and, aged seventeen, she goes to a boarding school in Switzerland - a traumatic change for a girl who acts and feels like one of the Fayu. 'Fear is something I learnt here' she says. 'In the Lost Valley, with a lost tribe, I was happy. In the rest of the world it was I who was lost.' Here is Sabine Kuegler's remarkable true story of a childhood lived out in the Indonesian jungle, and the struggle to conform to European society that followed. Umm, usually I rather love books like this. Well, I guess it is actually a little more hit and miss than that. For some reason I found this one a little wishy washy for my liking. Still tho, I am fascinated by the people who can up and leave their lives for life in the jungle with long-lost tribes ... I don't think I could. I did find it interesting how she struggled to integrate back into Western society tho. All these things we just take for granted.